Also, it should be noted that Warren's idea doesn't "nationalize" everything. It is designed to regulate what she and others believe to be corporate abuses of power and money. It should read, "Elizabeth Warren’s Batty Plan to Regulate . . . Everything". Today, America is the best republican democracy money can buy. Republican is a party, not a principle. Perhaps you meant to write "Democratic Republic", or something of the sort? 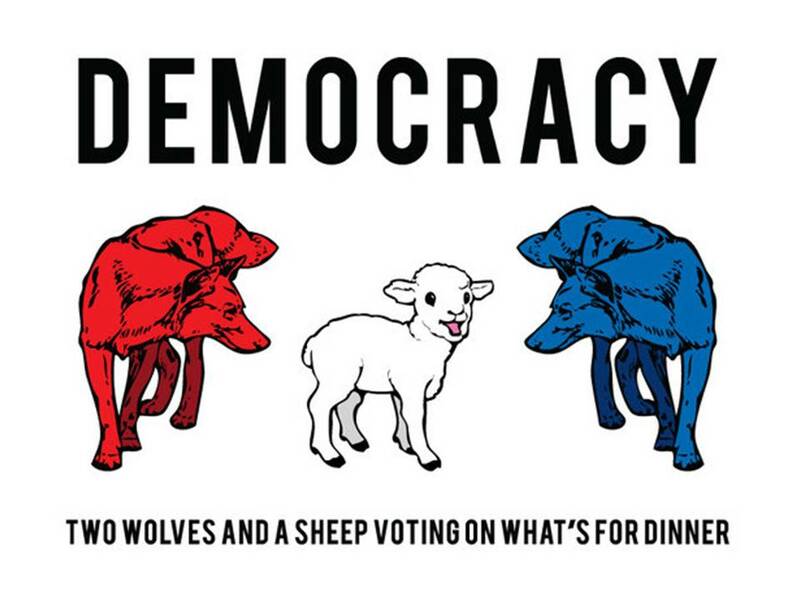 In any event, we're not - and have never been - a "democracy". Would you like to guess why? I'll give you a hint, it has to do with those founding fathers you keep claiming to be channeling. The term republican (lower case) can mean "having to do with a republic". A republic is a nation governed by representation. A Democratic Republic is a nation governed by democratically elected representatives. Sadly, they (both sides) don't represent the people much any more. They represent those corporate interests that fund their campaigns and provide golden parachutes and sweet spots for after they leave office. The only way to stop this is... to get corporate money out of politics. It all started when corporations were given the same rights as individuals. Of course if they had not been, than the libs would have made all of them pay for abortions. A republic is a nation governed by representation. A Democratic Republic is a nation governed by democratically elected representatives. The framers would be revolted to hear this country called a "democracy". That was completely antithetical to their views. They viewed democracy as being one of the worst forms of government. Perhaps my wording is off. Please afford me the opportunity to try to better word what I'm saying. We are a constitutional democratic republic. A constitutional democratic republic is a type of government based on the principles of a constitution in which officials are democratically elected by the people to represent the people in the legislative and governing processes.